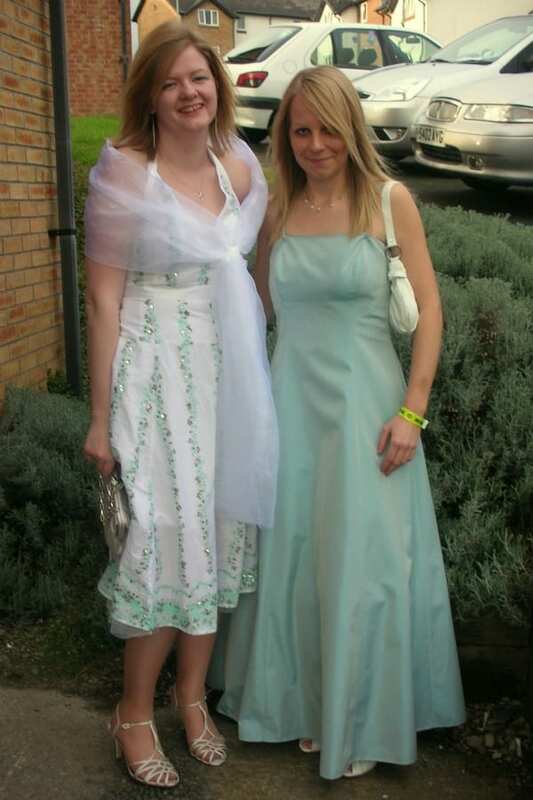 So back in sixth form, I was a twig. Its very weird to look at this photo, and realise that it was 10 years ago. I don’t know why I look so bloody smug here either. 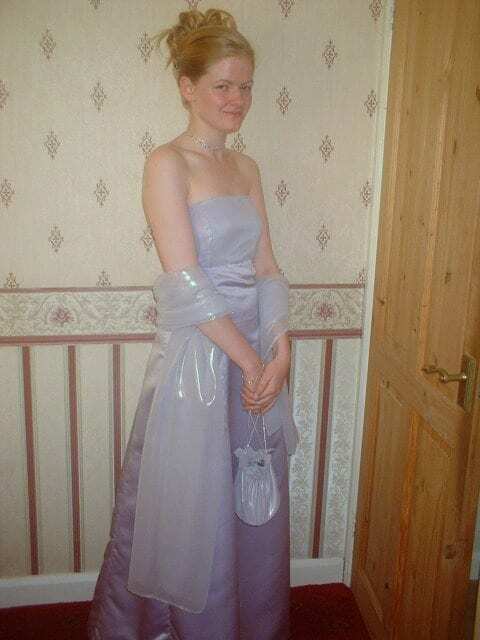 My mums sister made this dress, and I remember being so excited picking out the different fabrics. I had my hair and nails done at the hairdressers as well Â – this was before Chester heard of such things as proms, so it was quite unusual for any of us to make this much effort. In my second year, I ordered this dress from delias.comÂ which was far too exciting…buying clothes online was still a relatively new thing in 2003/4 to me, despite going to uni in the wilderness of Aberystwyth (I think the only clothes shops we had were a tiny New Look, a small Dorothy Perkins, a small Peacocks and a few independents). I begged my dad to buy this for me, which he did eventually, then waited about a month for it to be delivered. 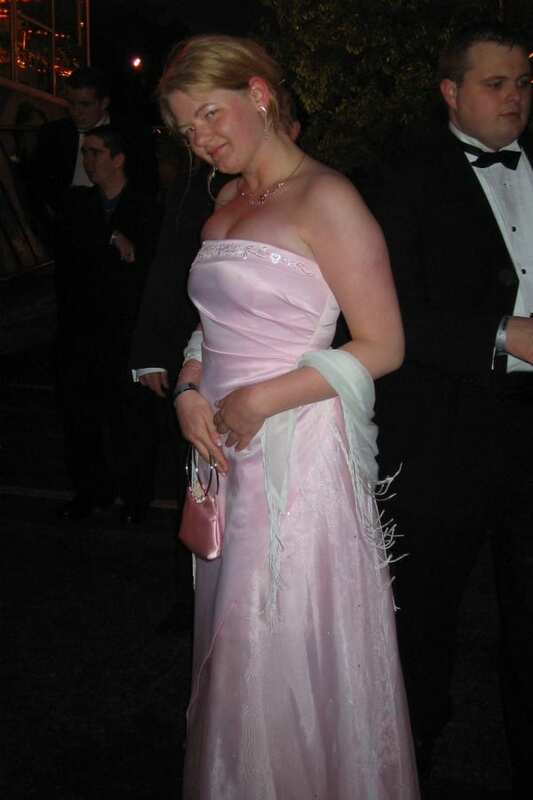 It was a very frilly, pink, sparkly dress that I never wore again, and that got a little ruined at the bottom from all the spilt drinks in the union. Boo drunk students. I have no idea what this pose is. In my final year, I spotted this dress in a new independent that had opened up on the Aber high street, and would go in every few days to try it on and think how pretty it was (and took photos to torture myself about it). I had no money to buy it and didn’t think I would so I just filed it away in my head as a want (this isÂ obviouslyÂ back in the days before wishlists were commonplace on blogs…actually, it was 2006, so before blogs were commonplace really!) A week or two before the ball, my dad phoned me and said he would be putting in a bit of money into my bank account because he hadÂ receivedÂ my mums life insurance payout. I thought it would be a small amount, that would just about cover my overdraft and pretty much forgot about it. A few days after that, I was in my econometrics tutorial, and idly clicked over to my online banking. I nearly whooped in the middle of the tutorial when I saw how much had appeared Â – enough to cover my overdraft, a loan I had, a credit card and enough left over to buy a few pretty things. As soon as the tutorial finished, I pretty much ran down the hill, straight to the bank to pay everything off, then straight to the shop to buy the dress! Can someone have a big formal party please so I have an excuse to wear a pretty dress? Thanks. Note the ‘mums sister’ part. Not aunt. LOVE it. 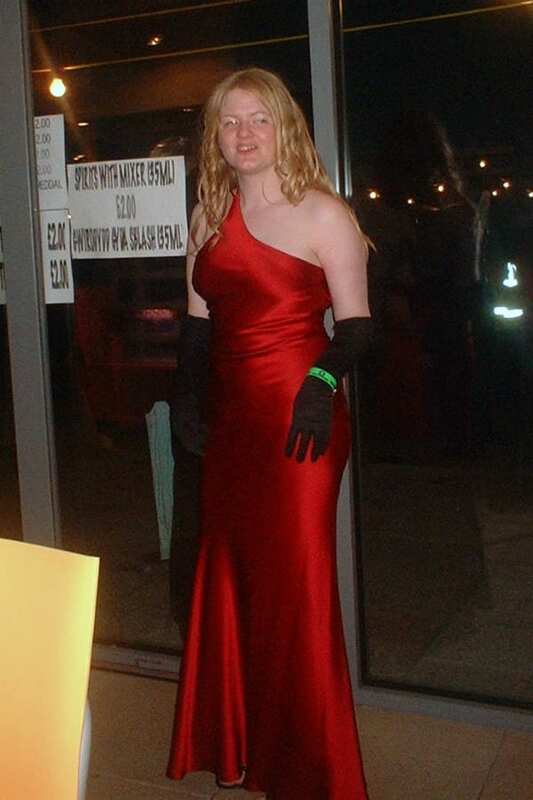 I had the fourth dress for may ball too! Great minds…It got lost somewhere between Aber and Northern Ireland, Ver sad. I love seeing old photos of people and you look AMAZING in red, please wear it more often! Oh so pretty! I do love ballgowns, there definitely need to be more balls in my life! Also you look *stunning* in the red one! red is your colour and that is all. wow!